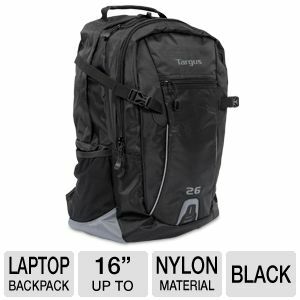 Conveniently carry your laptop while you travel with the Targus TSB712US 16" Sport 26L Backpack. 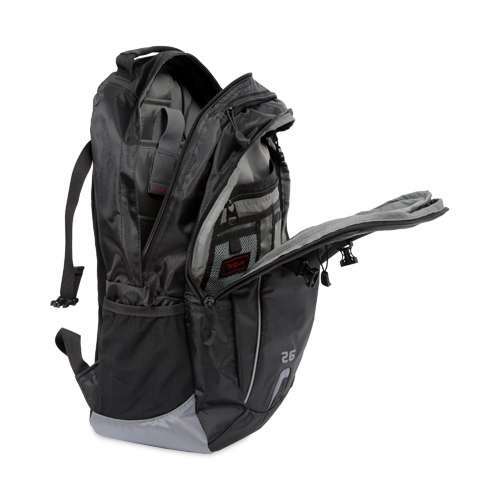 This black backpack is designed to fit your 16-inch laptop in its spacious Padded Laptop Compartment. 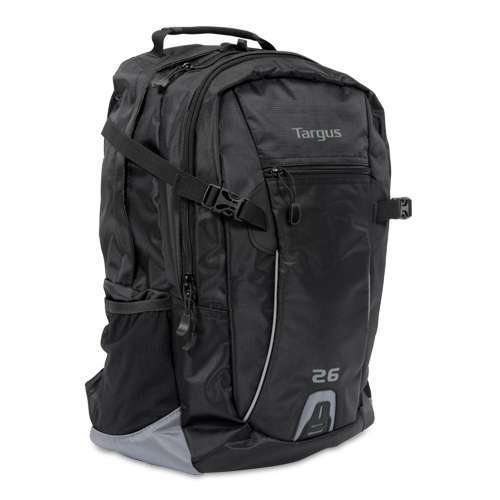 The Targus TSB712US 16" Sport 26L Backpack has a Water Resistant Bottom to withstand your wild outdoor trips. 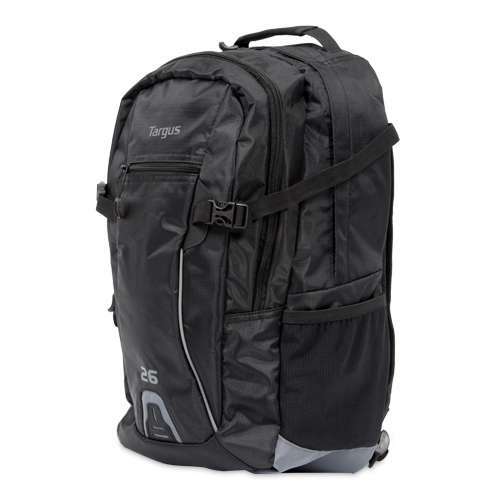 It also has a large compartment, for storing lots of things for your trip. 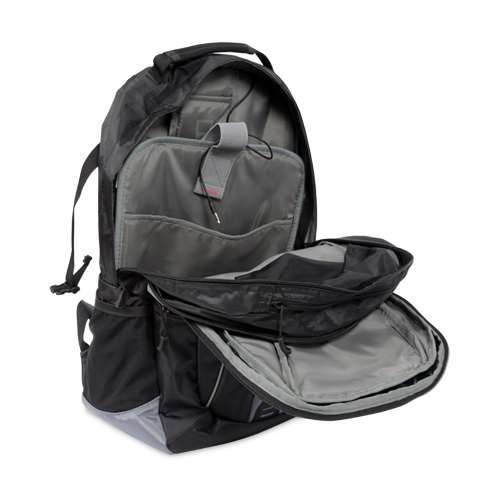 Of course, it comes with a pocket for your water bottle, and additional zippered pockets so you stay prepared during your adventures. 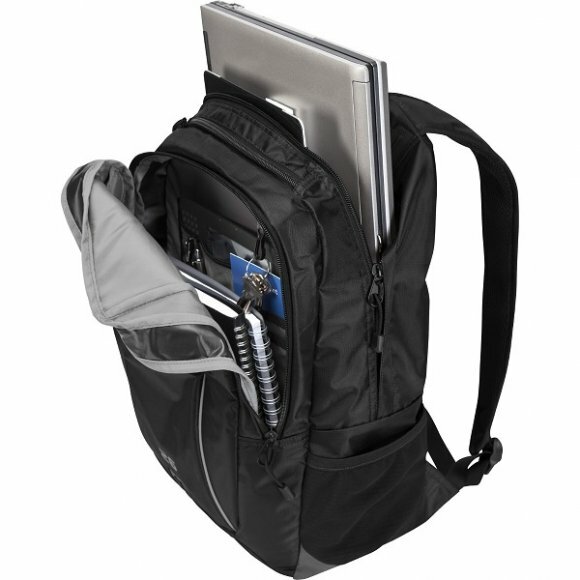 And for easy carrying, this backpack is equipped with a tough top handle and Padded Shoulder Straps. 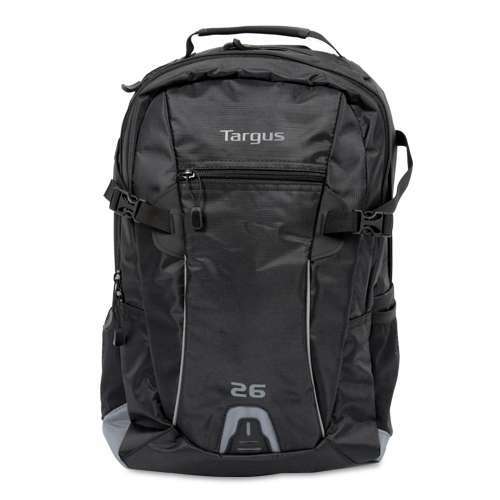 For fearless adventures, better choose the Targus TSB712US 16" Sport 26L Backpack today.